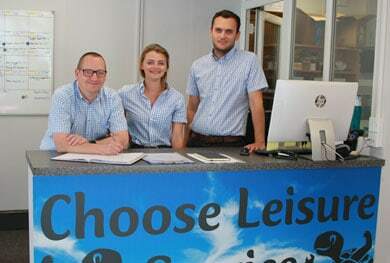 Paul and Jen will be familiar to our long-standing customers, as founders and owners of Choose Leisure. 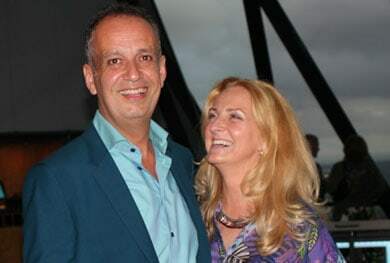 Paul says: "Jenny and I are extremely proud of the team we've built here. Not only is everyone talented at what they do but they all play a vital role in ensuring things run smoothly for our customers and making the workplace a happy, fun and rewarding environment to be a part of." General Manager, Dominic, keeps a watchful eye over everything. From Sales to Service and everything in between, including buying stock, he is passionate about the company and the industry with a wealth of knowledge to help the rest of the team and customers alike. Sales step up to help customers with every aspect of their purchase, dealing with initial enquiries right through to the completion of the sale and beyond. 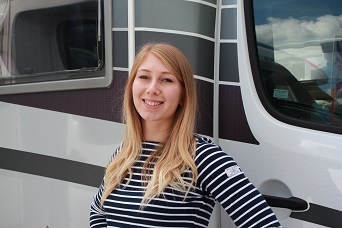 They are here to help you get the right deal on a motorhome that is most suited to you, your lifestyle and your dreams! When customers collect their motorhome they are given a thorough handover so they understand how everything works before driving away. 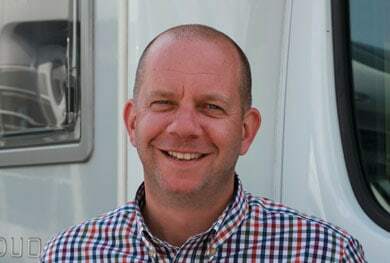 Whether you are new to the motorhome world or are a motorhoming pro, dynamic duo Steve (who has been here for 10 years) and Mark make sure that your dedicated handover time is educational and, as customers often report, a good laugh! The first point of contact might be reception but anyone can, and will, answer the phone or greet you here. 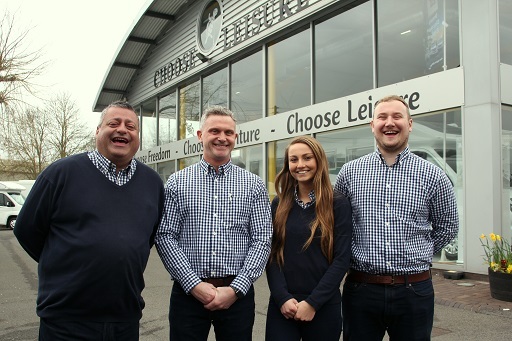 We don't believe in a 'back-office' mentality, so the sales support staff (Front of House, Vehicle Admin and Sales Admin) work in an open plan part of the showroom where they can be part of the action. It's up to the service team to liaise with the workshop and order parts to ensure everything gets prepped properly and on-time, whether it's sold vans, warranty or retail work. Headed up by Charlie, they also man our accessories shop. 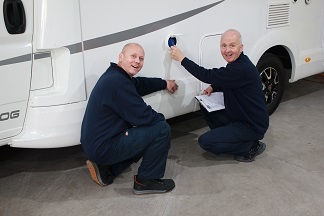 We only buy quality used stock so our Pre-Prep team do a number of initial checks before we commit to buying a motorhome. After that, they will thoroughly check it over for snags to be rectified before the motorhome goes on our pitch. Once a motorhome has been sold, our Habitation Technicians carry out a full pre-delivery inspection to get it ready for its new owner. This can include anything from a gas check or basic service to fitting a state of the art satellite system. Motorhomes are multifaceted so there are lots of different things happening in our workshops at once. 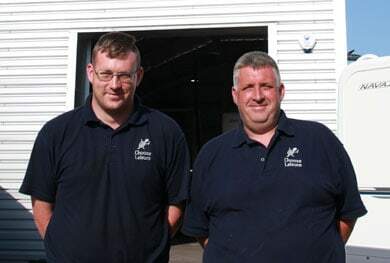 Tony, overall Workshop Manager, and James can be found in the mechanical workshop looking after everything related to the engines and chassis. 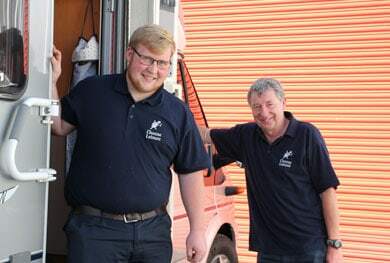 With ramps and equipment to cope with all sizes of motorhomes and 40 years' experience between them, no challenge is too great for this father and son team! Every motorhome is cleaned before going on sale, then again every week whilst on the pitch to keep them fresh. A thorough valet is the final process before the customer takes delivery of their 'van. Part of our 'original cast', chalking up 10 years at Choose Leisure, Pete leads the 'Clean Team' which makes this happen come rain or shine. 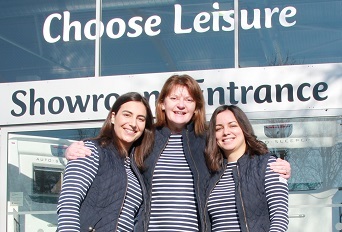 From event planning to advert design, Molly makes sure that we are always flying the Choose Leisure flag so that customers can find us. 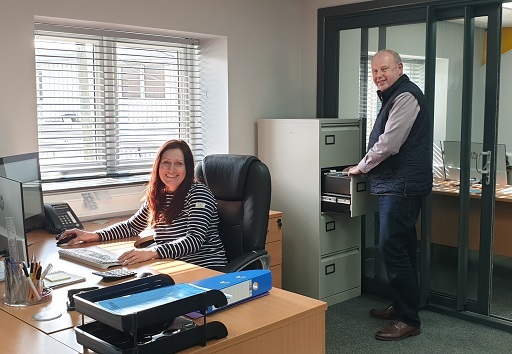 Upstairs in our bright new offices, Sharon, Finance Assistant, deals with all the day to day Accounts while Gary, Finance Manager, oversees the business finances as a whole. Inspired by motorhomers, we created our tortoise logo to reflect life on the road - taking things at a leisurely pace and, more importantly, taking your home wherever you go. With many of our customers (and staff!) 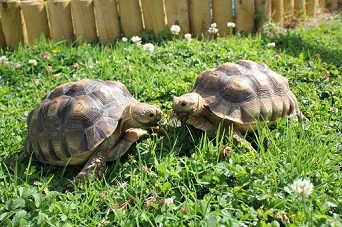 being animal lovers, it seemed fitting to have a couple of our own motorhoming mascots.